The federal government got lucky and closed for a snow day yesterday, but therapists and patients will be out of luck if Congress does not act on the therapy cap by March 31st. Congress has until the end of March to take action and prevent a 24% cut to provider payments under the flawed Sustainable Growth Rate (SGR) formula as well as a hard cap on outpatient therapy services for Medicare beneficiaries. Email or call your legislators today and tell them that providers and patients deserve stability when it comes to accessing physical therapy services. Urge your legislators to include repeal of the Medicare therapy cap by March 31 as part of a larger sustainable growth rate (SGR) reform package. Last week, the House passed the Medicare Provider Payment Modernization Act of 2014 (H.R. 4015), which repealed the SGR formula, but did not include a repeal of the Medicare therapy cap. This vote was largely political due to the controversial offsets in the bill. The Medicare SGR Repeal and Beneficiary Access Improvement Act of 2014 (S. 2110) was also introduced in the Senate last week. This bill repeals the SGR formula AND repeals the Medicare therapy cap, however the bill does not include any budget offsets. S. 2110 is currently scheduled to be voted on the week of March 24th. APTA is supportive of the provisions in S. 2110, but we need you to call your members of Congress and urge them to act before the therapy cap exceptions process expires on March 31. · Vote “yes” on the Medicare SGR Repeal and Beneficiary Access Improvement Act of 2014 (S. 2110), and its provisions to repeal the Medicare therapy cap. Continued cooperation between the House and the Senate can put an end to the pattern of short-term extensions which put patient care at risk. The Medicare therapy cap must be addressed by March 31st or else beneficiaries could face a hard cap on therapy services. Providers and Medicare beneficiaries deserve stability when it comes to providing and receiving physical therapy services. The current system of unpredictable, short-term extensions is not sustainable for therapists and patients who fear being abruptly denied necessary physical therapy services. A hard cap disproportionally impacts Medicare beneficiaries who need therapy services the most, such as patients who have experienced a stroke, or need therapy for Parkinson’s. · APTA supports the Senate SGR provision related to repeal of the Medicare therapy cap. *APTA members can email their legislators using the Legislative Action Center. * Nonmembers and patients can use the Patient Action Center. Individuals can use the U.S. House of Representatives and U.S. Senate directories to look-up the phone numbers for their members of Congress. 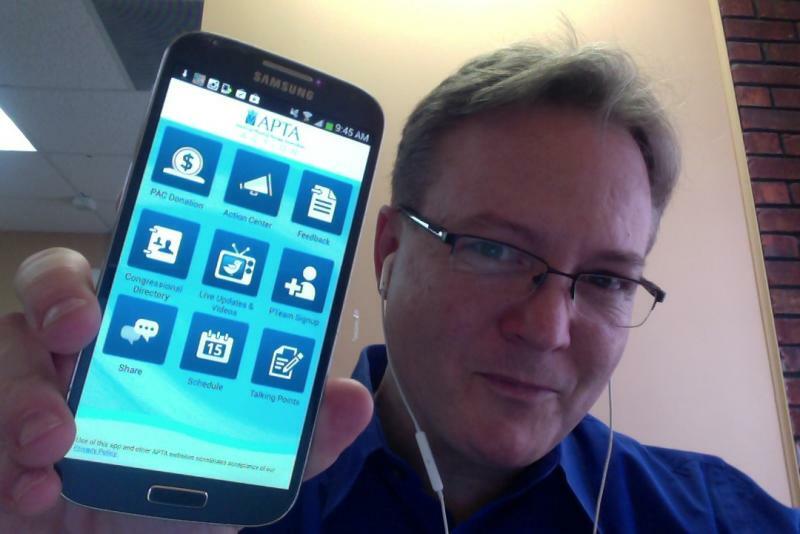 APTA members, nonmembers, and patients can also take action using the APTA Action app. Congress has the ability to put an end to the cycle of extending the therapy cap exceptions process, by repealing the Medicare therapy cap by March 31st. Contact your legislators today and tell them to put an end to this vicious cycle. MORE PATIENT INFORMATION - WHAT YOU NEED TO KNOW: CLICK HERE! HOW YOU CAN MAKE A DIFFERENCE: CLICK HERE!